Admits 1 General Admission at a Discounted Rate. Platinum VIP Ticket: Priority boarding with access to 1st come 1st Serve open seating, Commerative Captain's Hat. Includes: Priority Boarding, 5 Golden Tickets with a reserved Table on SKY Deck where headlining DJ performs live. 1 Premium Bottles: Grey Goose. Includes tax & tip with service fee. Includes: Priority Boarding, 8 Platinum VIP with a reserved Table on SKY Deck where headlining DJ performs live. 2 Choice Premium Bottles: Grey Goose. Includes tax & tip with service fee. Includes: Priority Boarding, Admission 10 Platinum VIP (See Platinum VIP Perks for details) with a reserved VIP Table closest to DJ on SKY Deck where headlining DJ performs live. 3x premium bottles: Grey Goose or Veuve Champagne. Includes tax & tip with service fee. Southern California's Biggest & Best Yacht Party 7 Years Running! This Independence Day, the only way to catch the true spirit of Southern California is to embark on the Pier Pressure™ cruise. Let loose and set sail into the gorgeous Southern California sun aboard the 350 person, the Catalina King Yacht. Bring your significant other and/or your entourage of friends and create the ultimate experience that no club, hotel, or land entity could possibly offer. This isn't like any other cruise or event. Catalina Classic Cruises & California Nightlife's mission is to make sure our Pier Pressure Yacht Party is a perfect one for you and all your friends so join us the ultimate party cruise and call us today if you have any questions or need assistance: 323.604.6030. So don’t be shy to have the time of your life on Long Beach's #1 rated yacht party for Memorial Day Weekend! *Other Alcohol types, Champagne, & wine are available for an additional purchase and cannot be substituted with the advertised brands within each package unless they are an equal or less value. 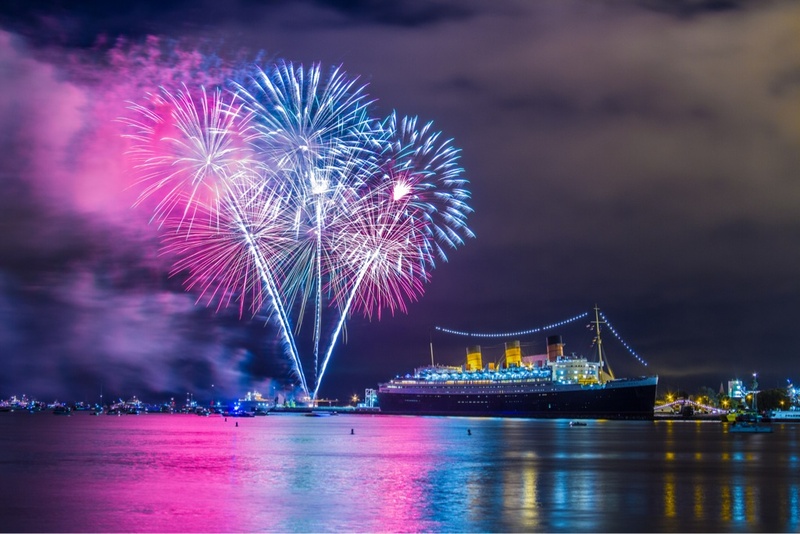 Parking: YOU MUST ARRIVE EARLY - 2 HOURS PRIOR TO BOARDING TO ENSURE ARRIVAL, there will be some reserved parking avail in Catalina Classic Lot in the Queen Mary Parking Lot. It is is near the Catalina King Dock. HOWEVER, PROCESSING 1000S OF CARS TO THE QUEEN MARY PARKING LOT TAKES TIME SO PLEASE BE PATIENT, IT WILL BE WORTH THE WAIT! :| All Sales are final. NO Refunds or exchanges. Prices are subject to change while supplies last. There is NO OPEN Bar.